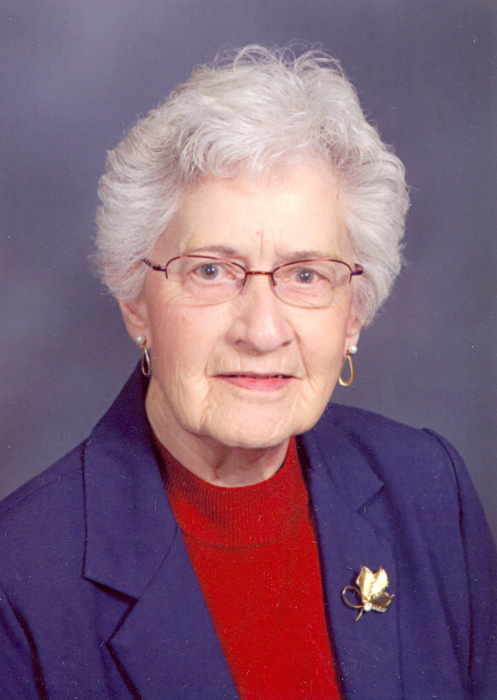 Lucille M. Sundahl, 99, of Grove City, Minnesota passed from this life on January 22, 2019 at Auburn Meadows in Waconia, Minnesota. A memorial service will be held at 11:00 AM on Friday February 1, 2019 at Trinity Lutheran Church in Grove City, MN. Visitation will be held one hour prior to the service at church. Interment will be held at Immanuel Lutheran Cemetery, Grove City, MN. Lucille Maxine Sundahl was born January 13, 1920 to Don and Ida Louise Benham in Montevideo, Minnesota. Her childhood was spent on farms in the Milan, Minnesota area where she attended country schools and graduated from Milan High School. In 1939 she married Palmer Sundahl from Appleton, Minnesota and they lived in Appleton, Pipestone and Fairfax, Minnesota. In 1966 they moved to Grove City where they purchased the Grove City Market Company. They operated it until they retired in 1981. She worked as the bookkeeper for thirty-two years. She was always active in church and community organizations. She enjoyed bowling, card playing and crossword puzzles. She was preceded in death by her husband, Palmer Sundahl, her parents, her siblings and their spouses, Eddie (Evelyn) Benham of Milan, Minnesota, Earl (Cora) Benham of Phoenix, Arizona, Ione (Arthur) Bacon of Montevideo, nephews Richard Bacon and David Sundahl and nieces Kathleen and Barbara Sundahl. She is survived by her daughters - Diane (Marty) Malmin of Watertown, Minnesota and Joan Steinley of Rapid City, South Dakota, five grandchildren, 9 great grandchildren and 3 great great grandchildren.